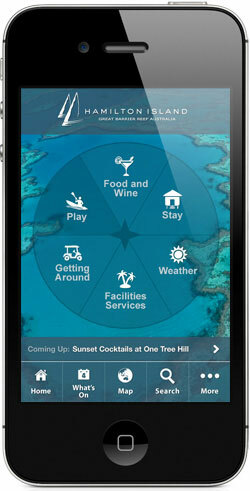 From daily events to shuttle bus and ferry timetables, the Hamilton Island iPhone App is a must for anyone visiting the beautiful destination. The app also contains Audio Tours of walks that can be taken on the Island and a complete overview of each activity available. This entry was posted in *My Portfolio*, Hamilton Island and tagged Alisa Nemirovska, Backpacker, Cricket’s Aunty, Hamilton Island, Hamilton Island iPhone App, iPad App, iPhone App, Island, Solo, Travel, Travel Blogger on January 21, 2013 by Cricket's Aunty.